Clear again! Perhaps the weather Gods are trying to make up for some of the lengthy downtime we suffered earlier in the year. 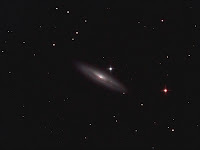 Next on the galaxy list was NGC 5987. At magnitude.12.7 and with quite pronounced dust lanes it is another of Draco's selection. The transparency remained very good as I took the subs though after a dozen the guiding inexplicably fell apart which curtailed the session prematurely....something requiring investigation. The final image shows the dust lanes quite well so a few more subs might have made little difference. Details: 10" f4.3 Newt. 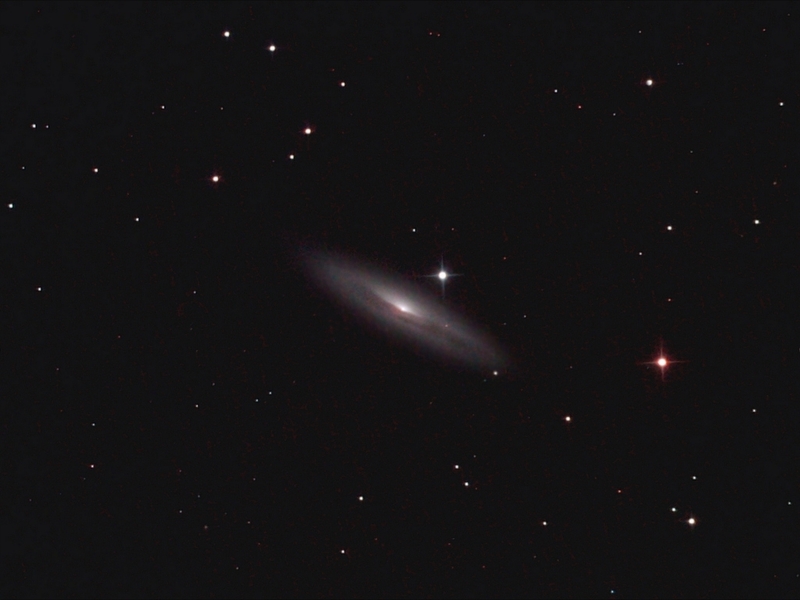 12x 10minute exposures @ iso1600 with CLS in DSS, FIV, CS2 & XAT.